Her first year in New York, her first show in the city, Wendy walked onto a Broadway stage in Arthur Miller's ALL MY SONS starring Richard Kiley. 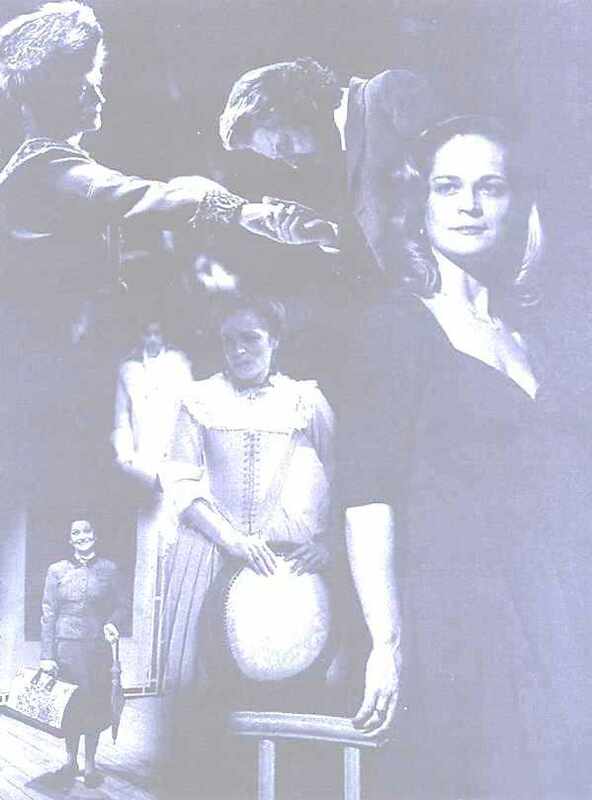 The summer before, she took over for Sigourney Weaver as Stella in A STREETCAR NAMED DESIRE, opposite Christopher Walken and Blythe Danner at Williamstown Theatre Festival, - with a days notice, and on opening night! Wendy- recently seen on Broadway with Paul Newman in OUR TOWN- has performed in over 90 productions, including Amanda Wingfield in "The Glass Menagerie" at The Shakespeare Theatre of New Jersey that Variety critic Robert Daniels said of her, "She is one of the finest Amanda Wingfield's in memory and can proudly take her place alongside the memorable Amandas in this critic's experience: Helen Hayes, Jessica Tandy, Julie Harris, and Maureen Stapleton." She has performed as: Yelena (opposite Hal Holbrook and Robert Foxworth) in UNCLE VANYA, Lady Croom in ARCADIA, May in FOOL FOR LOVE, Masha in THREE SISTERS, Andromache in THE GREEKS, Tourvel in LES LIAISONS DANGEREUSES, Mags in PAINTING CHURCHES, Maud/Lin in CLOUD NINE, Frankie/Francis in VOICE OF THE PRAIRIE, Nadya Lenin in TRAVESTIES, Anna in OLD TIMES, Mrs. Gibbs in OUR TOWN, Solange in THE MAIDS, Inez in NO EXIT, Sasha in WILD HONEY, Thaisa in PERICLES, Mariana in MEASURE FOR MEASURE, Byancha in THE TAMER TAMED, and several times in her two favorite plays; Roxane in Rostand's CYRANO DE BERGERAC, and Stella in Tennessee William's A STREETCAR NAMED DESIRE. Her first play was at the age of seven, when she played Sleeping Beauty, performed in French. Wendy has performed all over the country, including the Actor's Theatre of Louisville, Great Lakes Theater Festival, Alabama Shakespeare Festival, Huntington Theatre, Asolo Theatre, Virginia Stage, Portland Stage, New Jersey Shakespeare Festival, River Arts Repertory, Indiana Repertory, Alliance Theatre, Playmaker's Repertory, and Denver Center Theatre Company, among many others. She has worked with such wonderful writer's as J.P. Donleavy, Derek Walcott, Soviet writer Sasha Galin, The Red Clay Rambler's, Arthur Miller, and with dozen's of new writers helping develop their latest projects. She has done play development work with Women's Project, W.P.A., New York Stage and Film, Voice and Vision, New Dramatists, Primary Stages, and more. TV: Law and Order, L&O/SVU, Criminal Intent, The Days and Nights of Molly Dodd, Another World, One Life To Live, All My Children, America's Most Wanted, Prince Street. On PBS and Showtime in the film version of OUR TOWN. Numerous commercials and voice-overs: include several years on Japanese TV as the Mom for General Food's Blendy Coffee, and an Addy award for Z94's "Morning Zoo". Wendy received her BFA in Theatre/Film at Denison University and her MFA in Acting at the UNC/Chapel Hill. She has taught the "Business of the Biz", and Acting, at Denison University, OH; UNC-Chapel Hill, NC; The ArtSchool, NC; Denver Center Conservatory, CO; at the Alabama Shakespeare Festival, Shakespeare Theatre Of NJ., and a seminar on playing Shakespeare at Northeastern University in Boston and at Baltimore's School for the Performing Arts. Wendy's great-great Aunt Elizabeth Risdon and Uncle Brandon Evans were members of the Theatre Guild and worked with such theatre figures as Alfred Lunt and Lyn Fontanne, Helen Hayes, and J.B. Shaw among others. Wendy was born in Loveland, Ohio.